This Learning Lab, Unlearning the Role of the Artist: Part 2, is framed by the interdisciplinary methodologies and comparative arts practice of London-based artist, Eva Sajovic. Prior to the launch of Eva’s exhibition at the MediaNox Gallery in Maribor, Slovenia, Learning Lab invites artists, curators, activists, educators and interested practitioners to partake in a day of critical debate and co-production.This will include critical panels, co-production workshops, and the preparing of food and eating together. Eva’s work pushes the boundaries of participatory and collaborative arts, challenging the dynamics of power and assumptions made by artists when working with and alongside communities of place and dis/placement. 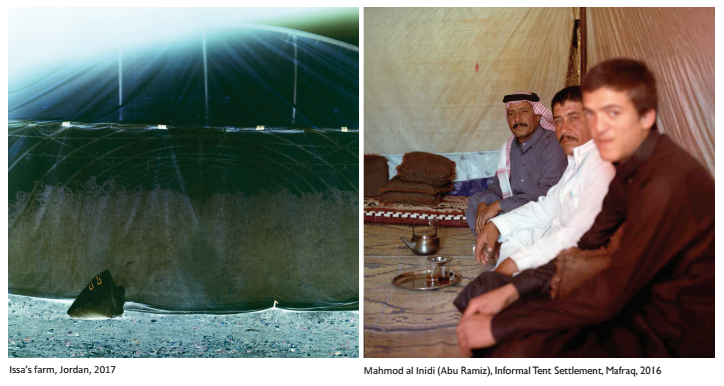 Her participatory photography and social portraiture to date will guide our conversation, specifically focusing on work produced during a recent two-part residency on climate change and displacement at Darat Al Funun Foundation in Amman, Jordan. Learning Lab will facilitate critical dialogue and a questioning of participatory photography as a tool of agency and emancipation.We will also explore how different types and practices of citizenship can be enacted through photographic practice, and how natural plants and ecology act as catalysts for new modes of citizenship and community. We aim to convene a co-production workshop and invite participants to bring photographs of plants and people relating to issues of migration, climate change, and displacement. Our aim is to layer the photographs with aural and written statements collated through our conversations and to transform and/or re-contextualise the images to communicate a collectively forged/defined narrative. This methodology is based on the model of the tape slides medium, largely used by community photography groups in the UK in the 70s, as a means of creating alternative modes of communication. Learning Lab builds upon an ongoing, collaborative conversation between artist, Eva Sajovic,Agnes Czajka (Open University) and Áine O’Brien and Dijana Rakovic (Counterpoints Arts) initiated at the Who Are We? project at Tate Exchange London. It is co-produced with Terra Vera, Slovenia.